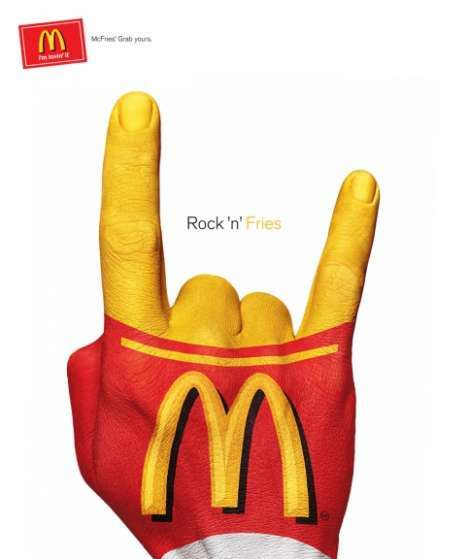 The Beatles are credited with being the first to do many things such as printing lyrics on a pop album, creating music videos and holding a stadium concert, but most bizarre is their role in the “devil horns” hand gesture taking off. John Lennon’s cartoon figure on the Yellow Submarine cover is apparently the first time the symbol was on the cover of an album and is one of the earliest instances associated with a rock band, ever. I know you were just waiting for it to come to this, right? KnuckleBonz Unveils Limited Edition Ronnie James Dio Collectible Figure! 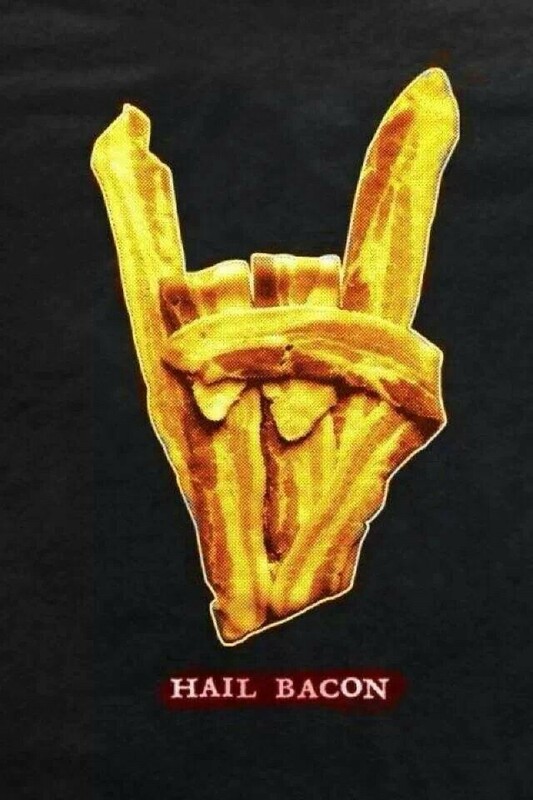 Horns up, Metal Heads! KnuckleBonz is excited to announce its production of the Ronnie James Dio Rock Iconz® statue – an officially licensed product, approved and endorsed by Wendy Dio and Niji Entertainment. Wendy Dio remarked about the project, “Ronnie would be very proud.” KnuckleBonz is honored to be creating a tribute piece of Ronnie James Dio, widely recognized as one of the most powerful singers in all of heavy metal. The Ronnie James Dio Statue, part of KnuckleBonz music-based sculpture series: Rock Iconz, is a hand-crafted sculpture of Dio posed flashing his signature devil horns, in a familiar crouched stance. A portion of all sales made from the KnuckleBonz site will be donated to the Stand Up and Shout Cancer Fund created in honor of Ronnie James Dio. “We learned that Ronnie wanted to work on a statue project before he fell ill. We are honored that Wendy Dio and his management called on us for this project,” remarks Tony Simerman, President and Creative Director of KnuckleBonz, Inc. “It’s been a real pleasure to work with Ronnie’s family and the people at Niji on this project. I was a fan of Ronnie’s very early and owned all the original Rainbow records. I was fortunate enough to see him out in front of Sabbath. RJD was one of the greatest live performers I have ever seen,” adds Simerman. The statue will be sold directly from KnuckleBonz Dot Com and through select retailers worldwide. Scheduled to ship in December 2010, The Ronnie James Dio Rock Iconz Statue can be preordered at This Link. Created at 1/9 scale, making the figure approximately 8” tall on top of a wooden display base, this highly collectible, limited edition statue was created in a series of 3000 pieces only. Priced at $115.00, each figure in the edition is hand-painted, numbered and includes a certificate of authenticity. Order now so you won’t be “the last in line” to get your hands on one. Ronnie James Dio lost his fight with cancer on the morning of May 16th, 2010. He was 67 years old. 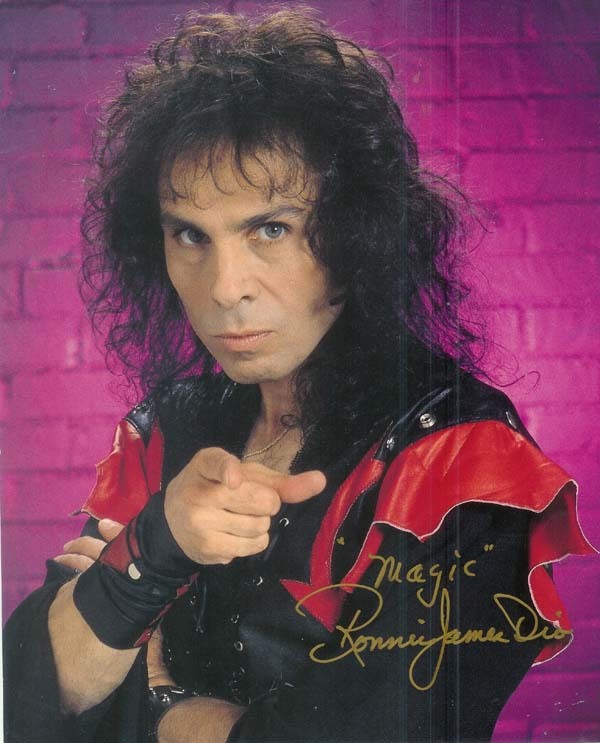 Ronnie James popularized the heavy metal “devil horns” gesture, and for that he deserves a place among the angels. Rock on, Holy Diver. Happy Birthday, Ronnie James Dio! 1. Tell them every metal band worships the devil. 2. Ask if all black metal bands are trying to copy KISS or just most of them. 3. Hide their joint under their library card. 4. Ask if they know of any other cool bands like Slipknot. 5. If they’re listening to metal, tell them it sounds like some mainstream band. Doesn’t matter who. 6. Say it’s all a ripoff of Iron Butterfly anyway. 7. Ask if they’ve given their souls to Jesus yet. 8. Vaguely imply that you’re gay and would like their company for the evening. 9. Record over their Cannibal Corpse albums with other Cannibal Corpse albums and see if they ever notice the difference. 10. Refuse to accept their fake I.D. 11. Ask how much Dio got paid for his role as Stuart Little. 12. Use the phrase “cookie monster vocals” and act like it’s the funniest, most original thing you’ve ever come up with. 15. Point out how homosexual Manowar is. If they agree, tell them the only thing more homosexual is Black Sabbath with Dio. 16. Tell them it all sounds the same. 17. Admit that Cliff Burton was a dirty hippy who had already peaked musically. 18. If they say they love 80s metal, ask them what ever happened to Poison. 20. Point out that Tarja from Nightwish can’t sing. 21. Insist that Emperor videos would be better if they used a dance troupe. 22. Ask if Mayhem is Marilyn Manson’s band. 23. Divert their CD shipments to the local Jewish community center. 24. Write “God Loves You” on their Venom backpatch. 25. Point out that just about every genre of music has an underground with bands who have integrity, so metal really isn’t that unique. 26. 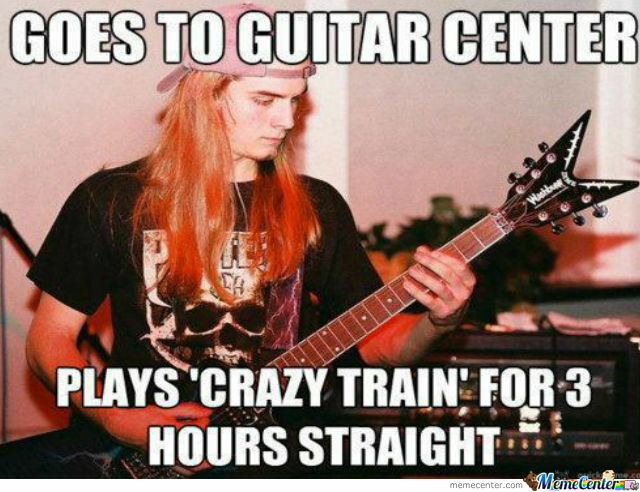 Post under their nickname on a power metal board and say Ray Alder shits all over John Arch. 27. Take out the Iron Maiden disc and put in 50 Cent. 28. Give them a spiky pop-punk haircut while they sleep. 29. Pronounce “Celtic Frost” correctly. 30. If they’re over 25, say that people can still rock even if they have an unplanned child or two and drive a grocery getter. Then point and laugh. 31. Tell them you’re not hiring and to try the other Cinnabon down the street. 32. Sit quietly and applaud politely at a metal show. 33. Make them be sober for five whole seconds. 34. Ask if Randy Rhoads was on the same flight as John Denver. 35. Tell them Korn brought metal back to life in the 90s. 36. Turn the bass way up on their stereo. 37. Laugh at Slayer for stealing their name from the Buffy show. 39. Call them on their horrible grammar and/or spelling. 40. Remind them that metal is partially derived from the blues. Then accuse them of being wiggers. 41. Use the phrase “balls in a vice” at least three times when talking about classic metal and/or power metal vocalists. 42. If it’s a guy with long hair, address him as if he were female. Don’t correct yourself about it. 43 .Be impressed with how much RoadRunner Records has improved over the past ten years. 44. Say you love Metallica’s debut, The Black Album. 45. Notice that Lemmy hasn’t moved his left hand in 30 years of playing bass. 47. Ask them if their favorite band is so good, how come nobody has ever heard of them. 48. Pine for the good old days when “Pour Some Sugar On Me” was a big hit. 50. Post a list of “Ways To Annoy Metal Fans” knowing full well that so many of them internalize everything and can’t take a joke. This entry was posted on July 4, 2005, in Gail's Rad Blog and tagged Annoy, Devil Horns, Dio, Heavy Metal, Humor, List, Marilyn Manson, Meme, Metal Head.